Why Was It In The Bat Cave TBR? : Next to Harlequin Historical, Harlequin SuperRomance is my favorite category romance line, and I've read and enjoyed two other books by Cooper. Also of note, this particular book won the 2005 RITA for Best Long Contemporary Romance. The Review: Olivia Ashford left the small Virginia town of Summerville right after high school without saying goodbye to anyone - and that included her boyfriend, John Riley. She's now a successful, local TV news anchor in Washington D.C. and is on the cusp of getting a big promotion. Then her BFF from high school calls her and invites her to their 15-year high school reunion. Olivia is on the verge of saying no, when a thought hits her. Maybe the reason she's so unhappy, the reason she's at loose ends, is because she never put her past properly to bed. Maybe going home is just what she needs. John is now a widower and single father to a young daughter. He was desperately in love with Olivia and her leaving him without so much as an explanation stung. Badly enough, so it seems, that he never quite got over her. He feels guilty about this, especially in the face of his wife's devotion to him, her long illness, and eventual death. He never expected Olivia to come to the reunion. She's successfully avoided him and the town for 15 years. So color him shocked when she does show up. This is one of those stories where Small Town = Wholesome Apple Pie Goodness. I know a lot of readers who cannot tolerate this sort of thing, but it's a trope that does still work for me as long the author avoids the obvious pitfall - which Cooper does here. Olivia is not happy at the start of this book. She's at that moment where everything she's been striving for in her career is about to come true, and all she can think is "Do I really want this?" She's not so sure anymore. She only knows that she's been coasting through her life and that she's desperately lonely. It's no way to live. She goes home looking for answers and maybe a little closure. This worked for me. It's much more annoying when the Big City Career Gal heroine starts out the book "happy" and then chucks that happiness off a cliff all because the hero can give her mind-altering orgasms. The main stumbling block, for me, is that the reader has to buy into the idea that John and Olivia had such a deep lurve connection as high school sweethearts that they're still pining for each other 15 years later. On one level, I get it. When a relationship just "stops" (as opposed to "ending properly"), and there's a lack of closure, it's hard to move on. Believe me, I've been there. But, there does come a point where you need to chalk it up to the other person being an emotional cripple and Move. The. Eff. On. We're talking 15 years here. 15 years. That's a long time. An amount of time that should have taken both hero and heroine to the nearest therapist to hash out why they were both incapable of Moving. The. Eff. On. Those of you who aren't category romance aficionados will likely not "get" this, but there are just some authors in the Harlequin Universe who fit their chosen line like a comfortable pair of old jeans. Inglath Cooper is a perfect fit for SuperRomance - a line I go to for my emotional intensity fix. Quibbles aside, there's no denying that Cooper is a writer who can burrow under your skin, find your heart-strings, and pluck out an entire operatic score. She milks every last emotional drop out of this story, rendering me a limp noodle by the end of it. By the end of the story I'm not entirely convinced John and Olivia are forging a future together based on the "present" - but the journey was nice to read about, and the author, whose last book came out in 2006, hits all the right emotional notes. It wasn't perfect, but it was enough for me. Side note: The author's web site is D.O.A. (new site coming Spring 2009!). Here's hoping she's still writing. Ooh, a new Super author for me to try! Thanks, Wendy!!! 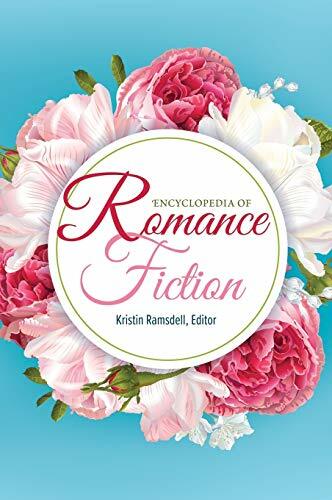 Super Romance is really my favorite line, but since I have only been reading them for a couple of year, I just love finding out about some of the older titles. Eh, I can't see a high school romance working. Every high school romance I've seen had ended up turning to dust. I just can't suspend my disbelief. Victoria: I've read three books by her now, and I've graded all of them somewhere in the "B" range. Of those three titles, I would say Unfinished Business was probably my favorite. I appreciated the risks she took with A Year And A Day, but it doesn't quite work as a traditional romance novel (IMHO). Lori: For me it's HH, HSR then SSE. Blaze probably comes in around 4th place - and I was fond of the old, now defunct, Temptation and Silhouette Romance lines. Sigh and the older Silhouette Desires ::sob:: - how I miss those! Samantha: Harlequin has since cut the word count, so the older Supers are a wee bit heftier. You get a bit more story and the author(s) had more pages to play around with. Made for some great reads! Jami: That was my main issue with the story. How much do you really "know" yourself when you're 16-17-18? I thought I was in lurve with my high school boyfriend, and I probably was - for the kind of "love" I was capable of at that time. And while I have good memories of that relationship, I went out - met different people - had different experiences - and it changed me. I remember that guy fondly, but I'm hardly the same person I was when we dated - and I'm sure he's not the same either. That all being said - I've known people who married their high school sweethearts and made it work. It's a romantic notion that plays well in romance novels, but in real life I think it's really, really hard. Kwana: You're welcome! 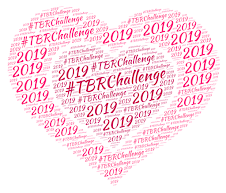 I've been having fun with this TBR Challenge!